War in Syria has devastated communities. Syria's war entered its ninth year on Friday, with fresh violence forcing thousands to flee from separate assaults on the last bastions of Islamic State and rebel-held territories. 1. 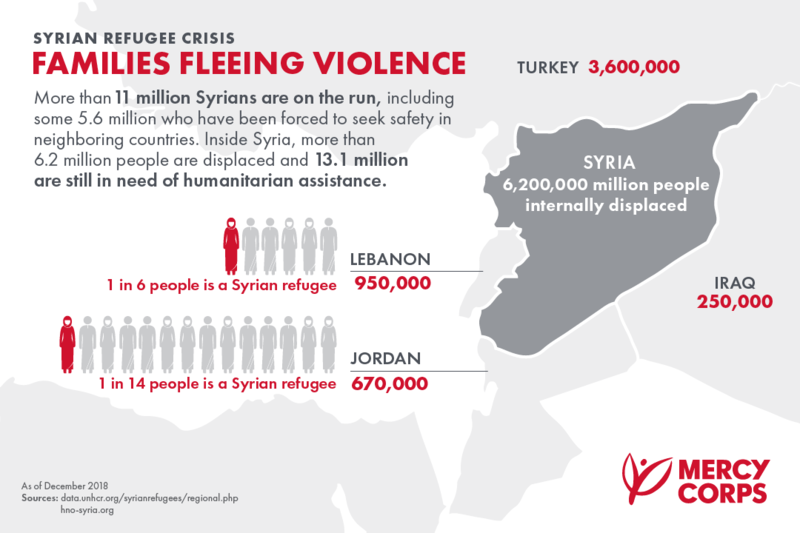 More than 5.6 million Syrian refugees have fled to Jordan, Lebanon, Iraq and Egypt and 6.6 million have been displaced within its borders. 2. About 11.7 million people need emergency aid in Syria, many of them children. 3. The war has killed an estimated half a million people. 4. With 1,106 children killed by fighting in 2018, it was the deadliest year for Syrian children according to verified deaths, although the true figure is likely to be much higher. 5. Up to 250,000 Syrians may go home this year as Assad controls most of Syria and the front lines appear stable for now between government territory and two big enclaves in the north and east outside Damascus's control. 6. About 2 million children in Syria are out of school. 7. As Islamic State has lost ground to U.S.-backed forces in eastern Syria, militants and their families have streamed out to Al-Hol camp, which holds some 67,000 people in "dire conditions", 90 percent of them women and children. 8. More than 3,500 children from more than 30 countries, whose families have real or suspected links to the Islamic State, are living in harsh condition camps in northeast Syria. 9. Of these, about 2,000 children are younger than five.